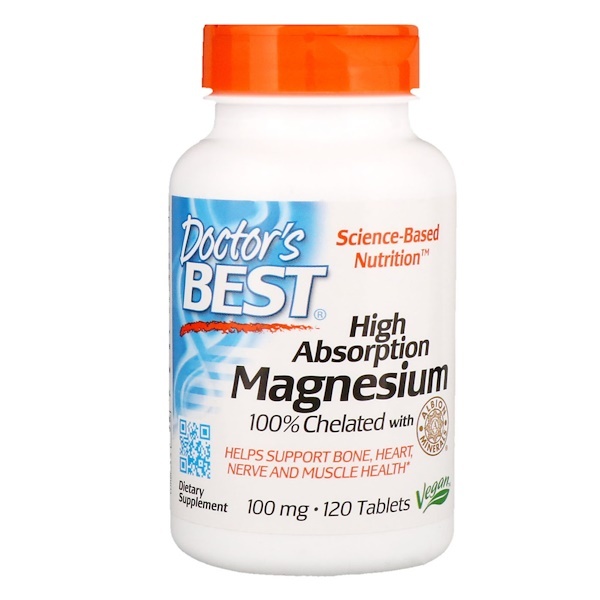 Doctor's Best High Absorption Magnesium uses a patented, organic, chelated delivery form of magnesium to optimize bioavailability and GI tolerance. It is not buffered and more absorbable than magnesium oxide. Magnesium is an essential dietary mineralthat plays many important roles which include: helping cells produce metabolic energy, supporting optimum nerve function, helping muscles relax properly and maintaining a healthy heartbeat. Lysine and glysine have been shown to be efficient carriers for minerals that facilitate absorption in the intestinal tract. Helps support bone, heart, nerve and muscle health. Helps support normal magnesium levels that decrease with age. 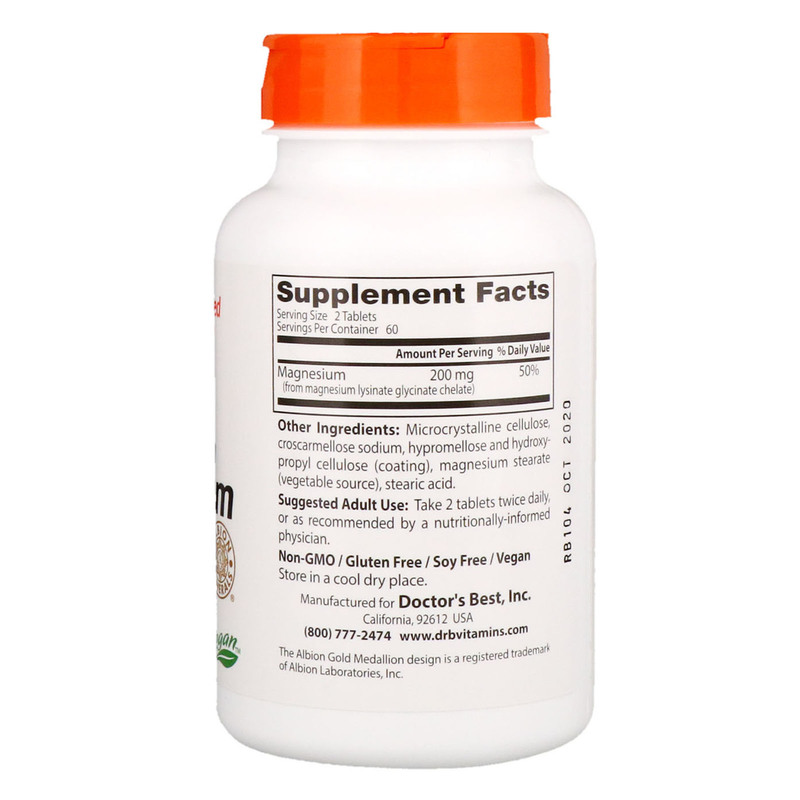 Made with a patented, organic form of bioavailable magnesium that is 100% chelated. Contains magnesium chelated with amino acids, L-Lysine and L-Glysine, providing high absorption. Take 2 tablets twice daily, or as recommended by a nutritionally-informed physician. Microcrystalline cellulose, croscarmellose sodium, hypromellose and hydroxypropyl cellulose (coating), magnesium stearate (vegetable source), stearic acid.